In our current food culture we often equate snacks with “treats” – muffins, biscuits, ice cream, crisps, crackers. Generally speaking, you could call them “tasty sweet and salty things you buy that are wrapped in plastic”. So when you’re cutting down on sugar and are eating more unprocessed, whole foods, it can be difficult to imagine what snacking can look like. But first let’s separate the “snack” from the treat”: To me, snacks are mini boosters in between meals. They are something nourishing (love that word) I eat when I am hungry. A treat, on the other hand, is something pleasurable and not necessarily nutritious that I enjoy for the sake of it. As you are all people interested in a healthy diet (otherwise you would have stopped reading already), you’ll all know that when you eat unprocessed food and balanced meals, your blood sugar stabilises and you won’t crave snacks that often anyway. Don’t be clever and hide vegetables in other things. If the child does not know it is eating, say, a cake with beetroot, all this will do is reinforce a liking of cake. Show, don’t tell. If you want your children to eat better, show them you enjoy good food. There should be no talk of diets and guilt at the table. Vegetables should be not presented as the necessary evil, but as something delicious. Serving them as a starter when hunger is keenest might do the trick. Talk less about “good” and ‘bad” food and more about hunger and fullness. Being able to recognise and satisfy your own hunger is perhaps the most important eating skill anyone can learn. Many children aren’t allowed to experience the mildest of hunger any more. Stop treating sugar like love. There are many other rewards or comforts we can treat our kids with as well, and sweets should not become the automatic go-to emotional prop. Don’t turn sugar into forbidden contraband. Everyone needs to find their personal happy with sugar. And there is always room for birthday cake. While I generally serve my children whole foods, I also make room for treats. 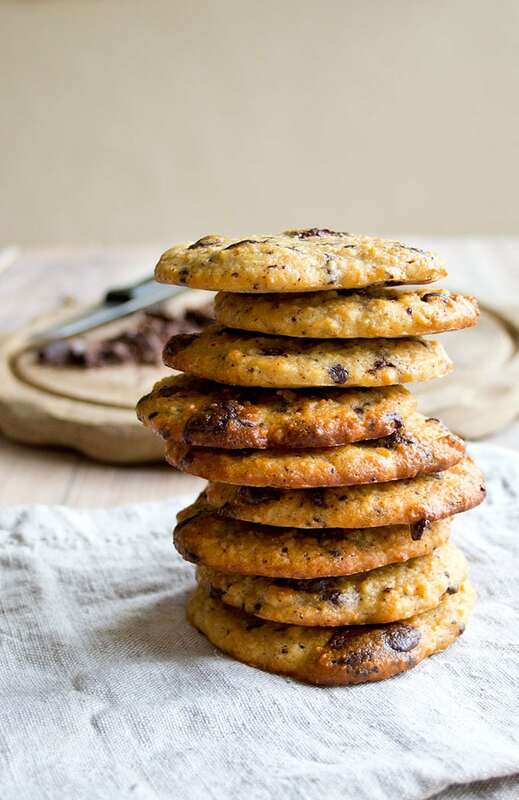 Sometimes I make them myself, such as low carb chocolate chip cookies or Sweet Potato Brownies, the added benefit being I can put as many good ingredients in as I like. There is an added challenge for parents with a healthy eating agenda: SCHOOL! Like they say, what happens in school stays in school. I don’t ask my kids what they chose for their school lunch – whatever it was, they’ll live. It does mean though they tend to come home absolutely famished and need a snack to make it through to dinner. Here are some ideas for nourishing (see, I used it again!) sugar free snacks that will help everyone bridge the time until food’s on the table. smoothies: we make a LOT of those here. Try banana/blueberries/yoghurt/flax seeds/cinnamon for a filling combination, frozen banana/100% dark chocolate powder/milk for chocoholics or my kid’s favourite, Green Pina Colada Smoothie. the old healthy eating favourite: crispy kale chips. Really, really tasty and very, very simple. 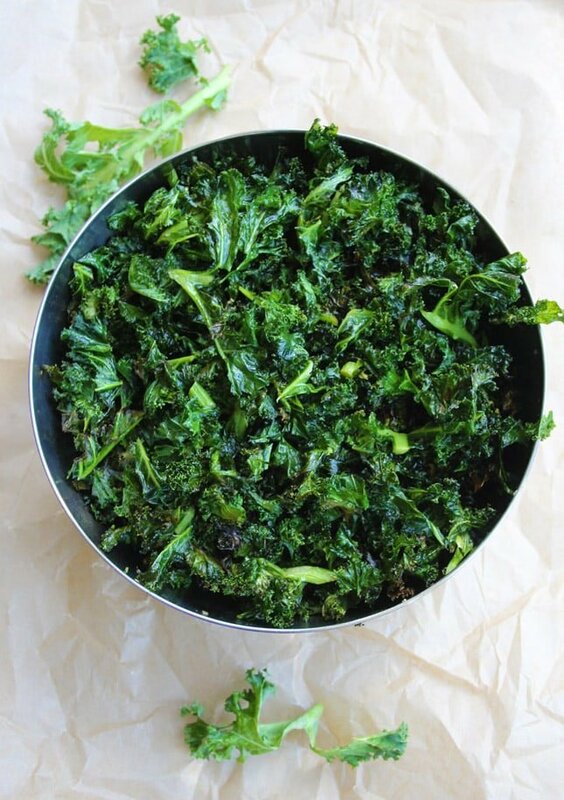 Plus you get to say this awesome sentence: “Darlings, I’ll quickly massage the kale with some extra virgin olive oil and your healthy snack will be ready in no time!” Even better: Leftovers can be sprinkled over dinner. What an all-rounder! 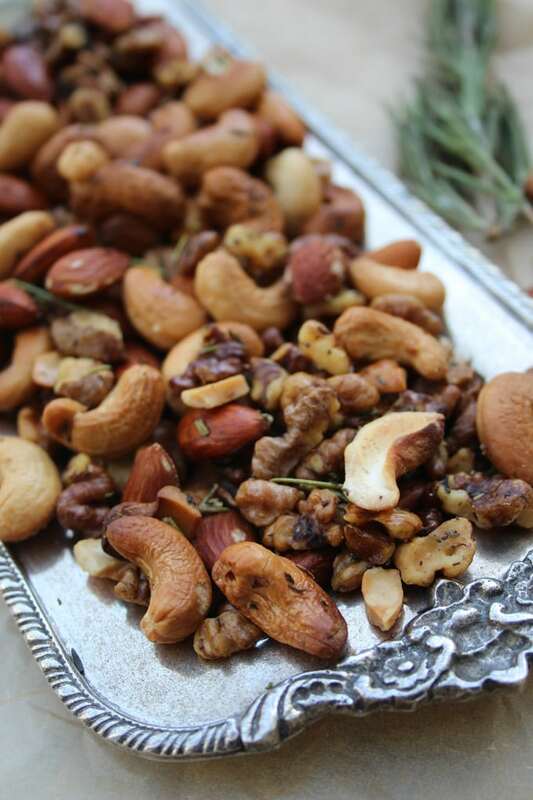 Rosemary Roasted Nuts - an easy and tasty snack! Roast in the oven at 180 Celsius for ca. 10 minutes. An informative and interesting article with lots of great inspiration for snacks. 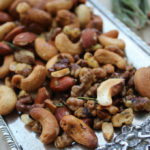 I’ve made the roasted spiced nuts and loved them. Thank you for posting this.